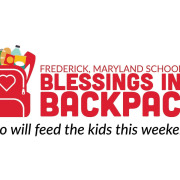 Blessings in a Backpack mobilizes individuals, community, and resources to feed children who might otherwise go hungry over weekends and school breaks when school meals are not available. BIAB provides food over weekends and school breaks to 2600 children in 17 Frederick schools. We are an all volunteer organization. Would you recommend BLESSINGS IN A BACKPACK INC?